Location: On the west bank of the Delaware River, primarily between Market and South Streets. The Delaware River Waterfront is anchored in Philadelphia at Penn’s Landing, the open space on the site of William Penn’s arrival in Pennsylvania. It is home to numerous seasonal events, including the fireworks on New Year’s Eve. During the winter, the ever-popular Blue Cross RiverRink operates in a space that is usually a parking lot. The winter is celebrated here during the Winterfest, which includes the aforementioned skating rink. During the summer, Penn’s Landing is home to movie showings, concerts, and the Multicultural Summer Festival, a series of displays of food and culture from around the world. Between Memorial Day and Labor Day, the Riverlink Ferry connects Penn’s Landing to the Camden Waterfront, near Adventure Aquarium and the Battleship New Jersey. The blue boat can be seen crossing the river, and docked in Camden in the off-season. The ride lasts roughly 10 minutes and provides spectacular views of Philadelphia and the Delaware River. Another highlight is the Penn’s Landing Marina, where a variety of boats are docked. From this long stretch of pavement, there are great views of ships docked at Penn’s Landing, Center City, and the Camden skyline. During the offseason, or in the rain, Penn’s Landing is often completely desolate, which allows for very peaceful walks along the Delaware. The Independence Seaport Museum is located at Penn’s Landing. The USS Olympia and Becuna are docked here, although they can be accessed with admission to the Independence Seaport Museum. 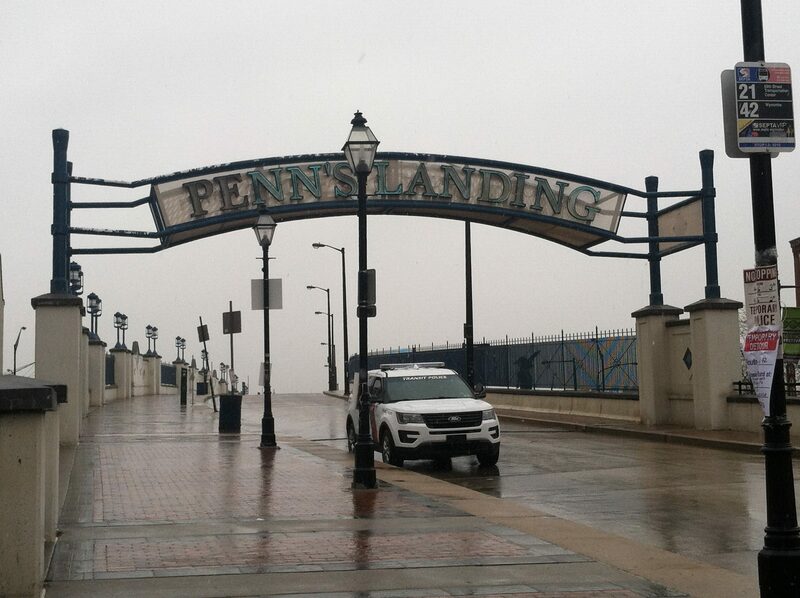 Going to Penn’s Landing itself is free, going to any event or attraction may be a different story. The RiverLink Ferry is $7 for adults, and $6 for seniors and children.